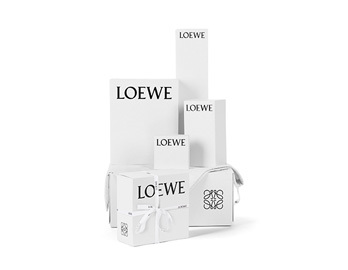 The first completely new bag designed by Jonathan Anderson has become a LOEWE icon. With its innovative cuboid shape, extreme tactility and maximum utility, volume is created through precise cutting. Puzzle can be worn in five different ways from shoulder bag to clutch, plus it folds completely flat. Key features: crafted from Classic Calfskin, Black hand-painted edges, Herringbone-patterned Cotton-Canvas lining, two interior slit compartments , handy back zip pocket, Anagram embossed to tone, hardware: Palladium in a Pewter finishing.